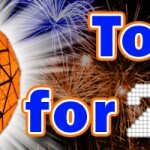 At the conclusion of each year, OnlyGators.com takes a look back at the top on-field moments and off-field stories from the previous 12 months. For the second-straight year, which will go down as another difficult and controversial one for the Florida Gators, we sort through the Not Top 14 for 2014 – games, actions and stories that fans of the program will look to put in the rear view mirror as the clock strikes midnight. Don’t forget to check out the Top 14 for 2014 (COMING THURSDAY) to begin 2015 on a positive note! Over the final two months of 2014, the Gators football program saw three seniors decide – whether through purposeful actions or team rules violations – to end their careers early. Learning he would not be starting at Vanderbilt, redshirt senior defensive tackle Leon Orr argued with then head coach Will Muschamp and was sent home on a bus before the game; he later tried to explain his side of the story. On the final day of the year, redshirt senior wide receiver/kick returner Andre Debose (mutual decision) and senior DT Darious Cummings (violation of team rules) were ruled out for the bowl game. Debose had an up-and-down hear overall, suffering a defenestration in the spring and barely playing on offense during the season; he was excellent as Florida’s all-purpose returner, however, and ends his career tied for the SEC record in kick return touchdowns (four). Maurkice and Mike Pouncey kept their noses clean when they were with the Gators and continue to be fan favorite from their time at Florida. However, since becoming professional football players, some character questions have been raised – stemming in large part from the brothers wearing “Free Hernandez” hats last year – and those continued in 2014. Pouncey was one of the main players named in bullying allegations levied by former Miami Dolphins offensive lineman Jonathan Martin, and both Pounceys were accused of serious assault during a night club incident in Miami. The brothers were not ultimately charged with assault from that evening’s incident but all of the allegations continued to paint UF in a bad light. There was even more of an expectation that center Patric Young would be picked in the 2014 NBA Draft with many believing he could go as high as the lower portion of the first round. Instead, Young fell out of the first and did not even get picked in the second as many NBA teams chose to select international players that they could stash and not sign to contracts. Young ultimately signed with the New Orleans Pelicans but was later cut by the franchise and is now playing in Turkey. Point guard Scottie Wilbekin and forward Casey Prather also went undrafted, and though Wilbekin performed well in NBA Summer League action, he did not get an opportunity in the league either. Though there was some positive momentum for the football program as the 2014 season approached, with the roster looking healthy and offensive coordinator Kurt Roper expected to turn things around for Florida, a number of bad omens cast doom over the Gators’ campaign. It started with the Orange & Blue Debut spring game, which ended in a tie. Though there was no reason to continue the game per se, fans in attendance hoped to see a little bit of extra Florida football action and left disappointed. The ominous offseason continued with wide receivers coach and recruiting coordinator Joker Phillips resigning from his position in June after Miami staffers reported him for a recruiting violation. Muschamp named former Gators quarterback and team graduate assistant Chris Leak as the replacement receivers coach, giving UF four different coaches at that position in as many seasons. The last omen was even more obvious than the first two with lightning storms cancelling Florida’s season opener against Idaho. Though options were considered to play the game at a later date in the season, it was ultimately decided to take the contest off both teams’ schedules with the Gators and Vandals only playing 11 contests in 2014. Some of the best news to open the basketball season was that redshirt junior guard Eli Carter had been fully cleared to play after dealing with a broken leg that cost him the end of his final season at Rutgers and the entirety of his first campaign at Florida. Carter felt healthy and was optimistic that he would be able to contribute for the Gators right away. Unfortunately, he suffered what would eventually be diagnosed as a mid-foot sprain in practice ahead of Florida’s third game of the season and was in-and-out of the lineup over the next few weeks. Carter then came down with strep throat in mid-December and injured himself for a second time on Tuesday, seemingly spraining the ankle on the same foot and missing the remainder of UF’s contest against FSU. He is simply unable to get healthy. Carter’s injuries are not the only ones that Gators basketball has dealt with this season. Rising forward Devon Walker tore his ACL during a pick-up game in July and was ruled out for 2014-15. Redshirt junior F Dorian Finney-Smith also suffered multiple hairline fractures in his non-shooting hand during Florida’s season-opener against William & Mary. He has continued to play but has nevertheless been slowed by the injury. With Muschamp’s future in limbo and the Gators floundering throughout the 2014 season, Florida football was unable to benefit from the solid recruiting chops of its coaching staff, losing a number of verbal commitments throughout the year. It actually started on Dec. 31, 2013, when explosive 2014 running back Dalvin Cook ditched UF for FSU and continued 11 days later when his close friend and almost equally explosive 2014 wide receiver Ermon Lane decommitted from the Gators (he eventually moved on to the Seminoles as well). Florida lost three 2015 commitments during a nine-day span in July, saw its two top-rated players drop their verbal pledges in October, and waved goodbye to its top two remaining commitments in early December. The Gators will end 2014 with just eight players committed for the 2015 cycle, all three-stars and only half from the state of Florida. One of Florida’s best women’s basketball players – and the team’s leading scorer – early in the 2013-14 season, sophomore F Christin Mercer was forced to leave the program after being arrested for allegedly taking part in a home invasion and robbery that occurred in May of 2013. In a case that was extensively researched by OnlyGators.com, Mercer was charged with home invasion robbery with a mask and firearm, a first-degree felony. She was offered and accepted a plea deal that somewhat left her off the hook, and Mercer eventually transferred to Jacksonville. Florida men’s and women’s diving coach Donnie Craine, 61, died in April after a boat he was in crashed 260 miles south of Gainesville, Florida, in Bokeelia. Craine was on vacation after completing his 37th year as a swimming coach, 32nd with the Gators. His accomplished career both started (1976-81) and ended (1989-2014) with Florida. He coached divers to five individual national championships (two with the Gators) and 19 SEC titles (12 at Florida). Along with head swimming coach Gregg Troy, Craine helped lead UF to two women’s NCAA Championships, 11 women’s SEC Championships (eight-straight) and eight men’s SEC Championships (five-straight). Almost exactly six months later, former Gators offensive lineman Mo Collins passed away at age 38. A three-year starter, two-time SEC champion and a member of Florida’s 1996 national title team, Collins was suffering from kidney failure. He spent the last year of his life giving back to the community as head coach of West Charlotte High School, his alma mater. The top seed in its regional and the No. 2 overall team in the 2014 NCAA Tournament, Florida baseball was swept out of the postseason in its self-hosted Gainesville Regional, falling in consecutive games to much lower-ranked teams. The Gators went 4-for-20 with runners in scoring position over their two games and failed to advance to the Super Regionals. Florida has now lost its last six games in the NCAA Tournament dating back to the 2012 College World Series including back-to-back sweeps in regional action. UF did rally during the regular season to capture the SEC crown, however, so the 2014 campaign was not all for naught. If the end to baseball season is termed “pathetic,” then the conclusion of lacrosse’s 2014 campaign can only be considered “valiant.” UF lacrosse matched up with Northwestern in the quarterfinals of the NCAA Tournament and needed to beat its rival for the third time this season just to advance to the Final Four. Instead, the Gators fell 12-11 in double overtime and were eliminated in the quarterfinal round for the third time in four years (the second time in three seasons that it occurred in double overtime). Heartbreaking, indeed. Though still a young program, the way Florida lacrosse has been eliminated from the postseason in its early history has been absolutely devastating, seemingly year in and year out. Former Gators defensive lineman Ray McDonald overcome a back-and-forth college career to become a stalwart for the San Francisco 49ers but nearly saw his NFL career collapse in August when he was arrested on suspicion of felony domestic violence for allegedly hitting a pregnant woman. McDonald’s arrest came just three days after NFL commissioner Roger Goodell announced harsher penalties for players and league employees involved in domestic violence or sexual assault, but the 49ers stood by McDonald, who professed his innocence and was ultimately cleared of the charges with the state deciding not to pursue any action against him. That would not be the last time McDonald would be corralled by the law for such an action in 2014, however. On Dec. 19, McDonald was released by San Francisco after an investigation began earlier in the day after another allegation of sexual assault. His home was searched by the San Diego Police Department, and McDonald was cut by the team due to a “pattern of decision-making” that was “no longer going to be tolerated” by the organization. McDonald was in the first year of a five-year $20.1 million contract that paid him $5 million as a signing bonus this season and had an annual average salary of $4.0 million. Muschamp did a fantastic job cleaning up the Florida football program during his four-year tenure with the team, but the Gators found their way onto the police blotter over the final three months of 2014. The most prominent incident involved freshman quarterback Treon Harris, who was suspended indefinitely by UF while under investigation for sexual battery in October. Harris and his attorney vehemently claimed that he was innocent and the accuser was lying to investigators, and she signed a release dropping her complaint against Harris within just four days’ time. Harris was reinstated to the program but ruled out for the first game he was eligible to play. Nevertheless, the way things played out – especially considering the circumstances surrounding Jameis Winston over the last two seasons – the Gators were thrust into the public spotlight for a negative reason. In the middle of Harris’s ordeal, Florida also suffered another embarrassment when a pair of teammates – QB Skyler Mornhinweg and defensive end Gerald Willis – got into a fight outside Ben Hill Griffin Stadium over what ended up being a disagreement about cleats. Just two weeks before the end of the season, Harris was charged with a misdemeanor for driving without a license with two other teammates in the car; marijuana was found in the vehicle but because it was not on the person of any of the players and none of them owned the car, no charges were filed. One of those other two players, freshman cornerback J.C. Jackson, was a victim in a scary incident on Christmas Eve as he was in a car that was shot upon by a pair of still-unidentified men. Jackson was luckily only grazed by a bullet, though it was later reported that the bullet actually grazed his eyelid. Standing at 7-5 as the first half of its season comes to a close, Florida basketball has dropped four of those contests via somewhat insane circumstances, especially considering how confident and poised the Gators’ more veteran squad was just one season prior. It started on Nov. 17 when Miami exploded late at Florida and saw one player score 20 points in the final 6:47 of the game – including a three with 18 seconds remaining – to earn a 69-67 victory over the then eight-ranked Gators. Nine days later in the Bahamas, UF fell to Georgetown 66-65 in overtime as the Hoyas made eight of their last nine field goals in the contest to tie the game and eventually win with a jumper splashing through the net with three seconds left. Florida lost by a much wider margin – six points – against No. 11 Kansas on Dec. 5, but it was the way UF dropped that game that was shocking. The Gators led by 15 points at the break and 18 points in the second half only to see the Jayhawks piece together a 23-3 run to erase their deficit and outscore the hosts by 21 in the final 20 minutes. Of course, the 2014 portion of UF’s 2014-15 campaign ended with the craziest late-game scenario of them all as redshirt senior walk-on F Jacob Kurtz actually scored the game-winning basket – for Florida State – in a 65-63 victory for the Noles. Trying to corral an air-ball, Kurtz accidentally tapped it into the hoop with 0.4 seconds remaining, erasing a tie and potential overtime showdown and handing Florida’s in-state rival a victory. The Gators saw their five-game winning streak against the Seminoles fall and ended 2014 with an absolute thud. The 2014 season was supposed to bring winds of change to Gainesville as the Gators entered the campaign with a new offensive philosophy and a healthy roster, giving Florida hope despite its difficult schedule. UF shined in what became its season opener, routing Eastern Michigan 65-0, and even stood tough against what many believed to be a much-improved Kentucky team, earning a 36-30 victory in triple overtime. A sterling defensive effort even saw Florida tied with Alabama 21-21 early in the third quarter but signs of struggle blossomed in the second half with the Crimson Tide outscoring the Gators 21-0 over the remainder of the contests and doubling up their visitors 42-21. Florida looked anemic on offense against Tennessee, somehow pulling off a 10-9 victory in Knoxville on the back of Harris, who replaced redshirt junior QB Jeff Driskel in the fourth quarter. Driskel returned to start against LSU but saw a potential UF victory fall right in front of his eyes as senior tight end Tevin Westbrook dropped a wide open go-ahead touchdown. The Gators took a field goal and a 27-27 tie, held the Tigers on their ensuing possession and attempted to drive down the field and win the game with about a minute remaining. That is when Driskel committed his third turnover of the game, throwing an interception over the middle; junior WR Latroy Pittman was seriously injured on the play and taken off the field on the stretcher. LSU eventually converted a game-winning 50-yard field goal, taking advantage of Westbrook’s drop, which necessitated Driskel’s attempted heroism, the interception and the additional opportunity. A shaken Driskel nevertheless started the next game, a homecoming contest against Missouri that appeared to be anything but special to the Gators. Florida was routed 42-13 in The Swamp after coughing up six turnovers and four return touchdowns (two defensive, kickoff return, punt return). Muschamp somehow kept his job after the contest, and the Gators equally surprisingly rallied for a 38-20 win over Georgia. Florida then beat Vanderbilt 34-10 and some fans began to question whether it was truly Muschamp that was the problem. The very next week, Muschamp reminded the Gators why he had to go as Florida embarrassed itself once again, this time at home against South Carolina. Two blocked kicks kept the Gamecocks alive and allowed the visitors to run over the Gators on their way to a 23-20 come-from-behind overtime victory. Florida failed to take back The Swamp, as Muschamp promised, and he was canned the very next day. UF trounced Eastern Kentucky 52-3 on Senior Day – delighting fans, friends and family in attendance – and appeared to have a shot at upsetting Florida State until all of the Gators’ old issues once again raised their ugly heads. Miscues (including another from Westbrook), penalties and questionable coaching decisions doomed Florida in Tallahassee as FSU picked up a 24-19 victory. Muschamp left the Gators with his head held high but no one who cares about the Florida football team paid that much mind, especially considering the Gators would once again be looking for a new coach at season’s end. Wow! I could have gone through all of 2015 without those reminders, Adam. Thanks?!? …and BTW the trolls from other teams really don’t need the fodder for their boards either…just sayin’. It’s tradition here, next post will be the good stuff like gym/softball winning NC, etc. I do think Adam would be best served to hold at 10 or 15 though, if he keeps OGGOA going for years, eventual he will be doing worst 59 for 2059! SO glad it’s over. Happy New Year, Adam and fellow Gators!